BRIAN DUPREY | Love Productions Inc.
Showered with awards and recognition for his live and recorded vocal performances, Brian Duprey’s voice is the closest you’ll ever hear to Frank Sinatra in his prime. This Las Vegas star had his big break on Fox TV’s hit reality show “Performing As,” where he won the top prize by portraying his idol, Frank Sinatra. 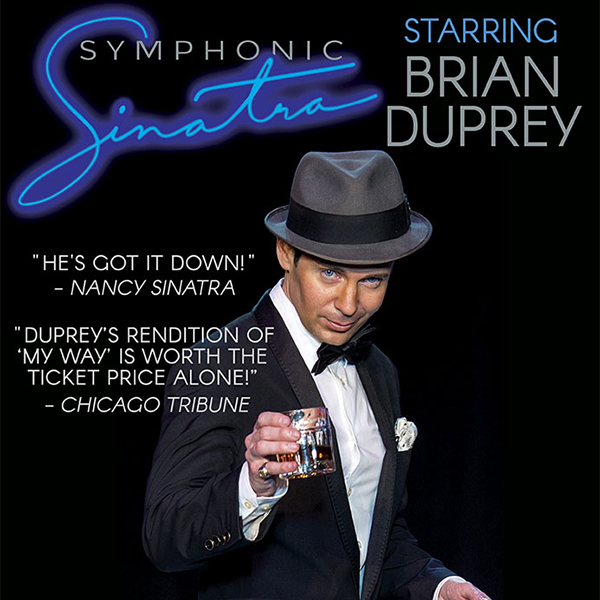 As an actor in the hit show “The Rat Pack is Back,” Brian Duprey spent 10 years in Las Vegas perfecting his craft and exemplified excellence in every aspect of his tribute to Frank Sinatra. His lead role and creative development of the show built a 48 state tour, repeat bookings, and secured the title of Best Tribute Show of Las Vegas in 2014. He’s performed in over 200 Performing Arts Theaters and Casinos across the country generating sold-out performances and rave reviews from fans and critics alike. Duprey’s Baritone is a dead ringer for Ol’ Blue Eyes.